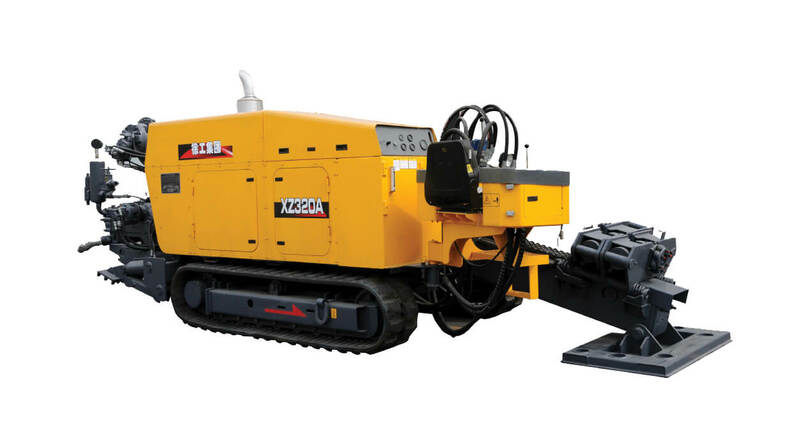 The horizontal directional drill is mainly used for laying and replacing various underground pipelines. 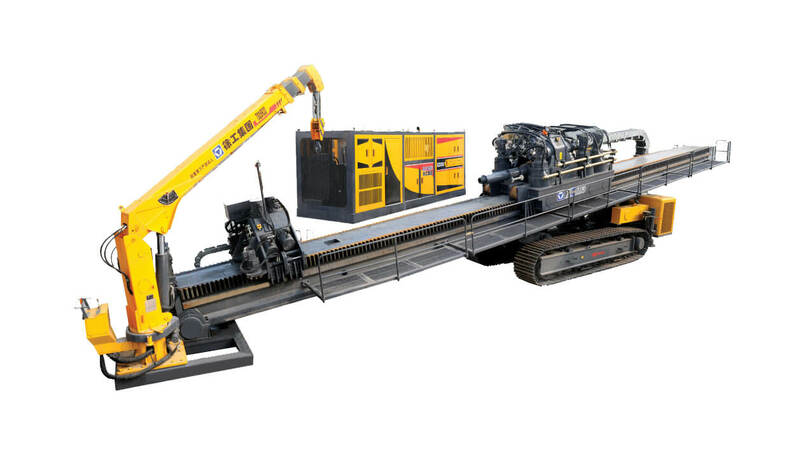 The machine features advanced performance and high operation efficiency and comfortable working condition. The key components are purchased globally, and it is the ideal equipment for construction in industries of water supply, coal gas, electric power, telecommunication, heating and oil. 1. Pluralities of advanced control technologies are adopted, including the PLC control, electro-hydraulic proportion control, load sensitive control, etc. 2. 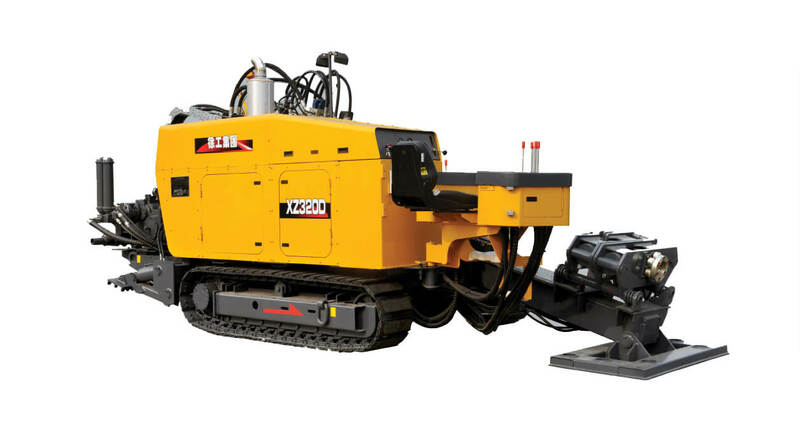 The Dual Speed spindle drive is operated with low speed when drilling and dragging back to ensure smooth construction, and can speed up to slide with two times of speed to reduce the auxiliary time and improve the working efficiency when returning and disassembly of drilling rod with empty loads. 3. 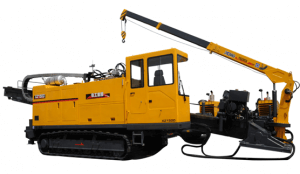 The engine has turbine torque increment characteristic, which can instantly increase the power to ensure the drilling power when coming across the complex geology. 4. Spindle drive has high rotation speed, good boring effect and high construction efficiency. 5. Single lever operation: It is convenient to precisely control and is easy and confortable to operate in preforming various functions such as thrust/pullback and rotary, etc. 6. The floating vice with patented technology can effectively prolong the service life of rod. 7. 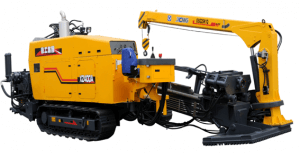 The engine, hydraulic parameter monitoring alarm and a plurality of safety protection are provided to ensure safety of operators and the machine. 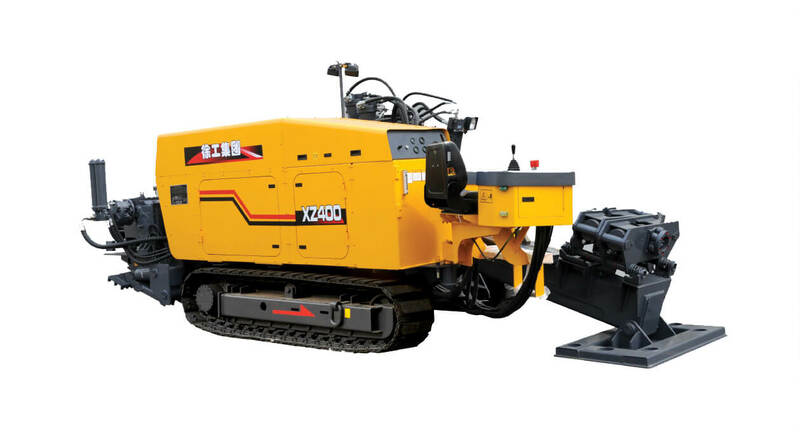 XZ180A horizontal directional drilling rig, which has compact structure and attractive appearance, adopts various advanced technologies and the proprietary technologies of the company, and its main performance parameters and control technologies have reached the world advanced level. The main components of hydraulic system, electrical system and transmission system are of top-grade domestic and international brand, and high quality. 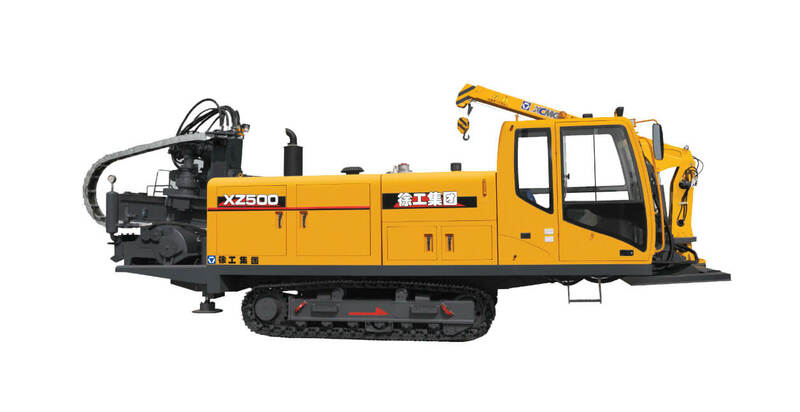 XZ200 horizontal directional drilling rig, which has compact structure and attractive appearance, adopts various advanced technologies and the proprietary technologies of the company, and its main performance parameters and control technologies have reached the world advanced level. The main components of hydraulic system, electrical system and transmission system are of top-grade domestic and international brand, and high quality. 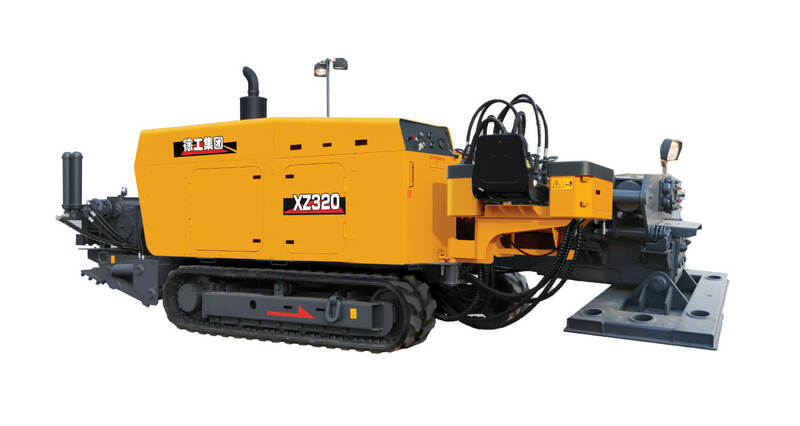 XZ320B horizontal directional drilling rig with the integral and aesthetic design adopts various advanced control technologies and the proprietary technologies of the company, and its main performance parameters and control technique have reached the international advanced level. The main components of hydraulic system, electrical system and transmission system are of top-grade domestic and international brand, and high reliability. 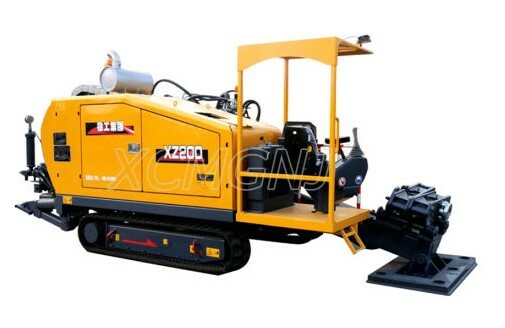 XZ320D horizontal directional drilling rig with the integral and aesthetic design adopts various advanced control technologies and the proprietary technologies of the company, and its main performance parameters and control technique have reached the international advanced level. The main components of hydraulic system, electrical system and transmission system are of top-grade domestic and international brand, and high reliability. 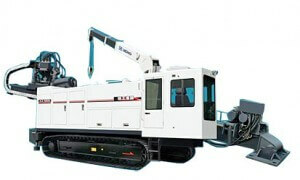 1351582304583 XZ400 horizontal directional drilling rig with compact structure and aesthetic design adopts various advanced control technologies and the proprietary technologies of the company, and its main performance parameters and control technique have reached the international advanced level. The main components of hydraulic system, electrical system and transmission system are of top-grade domestic and international brand, and high reliability. 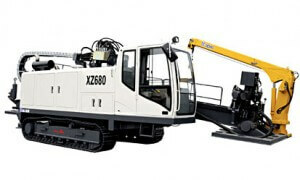 XZ500A horizontal directional drilling rig with the integral and aesthetic design adopts various advanced control technologies and the proprietary technologies of the company, and its main performance parameters and control technique have reached the international advanced level. The main components of hydraulic system, electrical system and transmission system are of top-grade domestic and international brand, and high reliability. 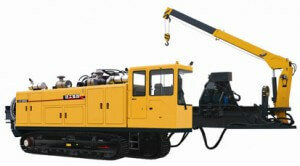 XZ3000 horizontal directional drilling rig with the self propelled chassis adopts various advanced control technologies such as closed hydraulic system, electro-hydraulic proportional control and load sensing control as well as the proprietary technologies of the company, and its main performance parameters and control technique have reached the international advanced level. The main components of hydraulic system, electric system and transmission system are of top-grade domestic and international brand, and high reliability.